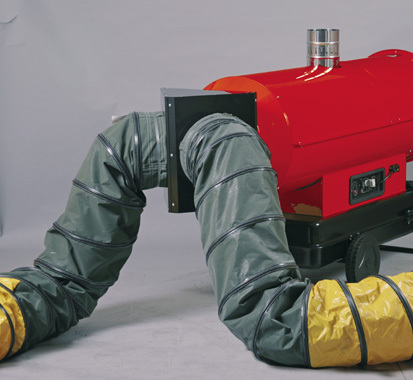 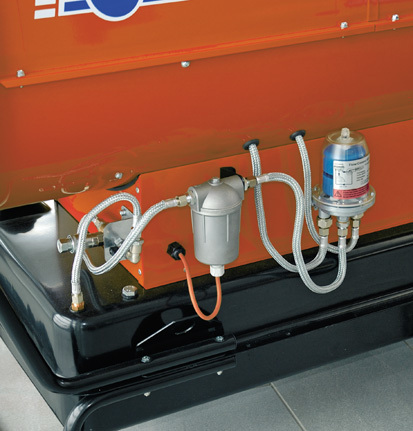 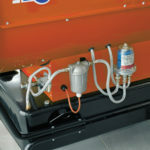 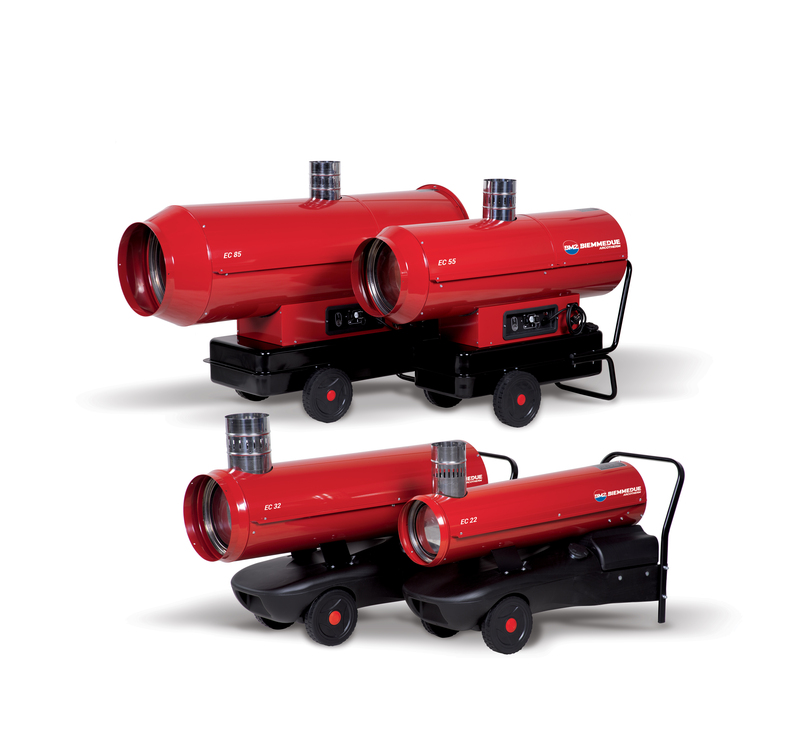 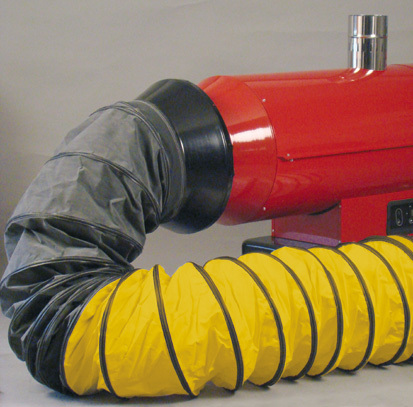 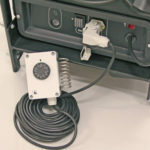 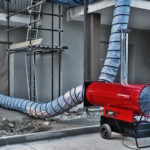 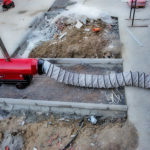 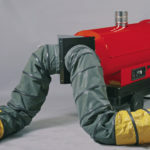 Mobile space heaters with heat exchanger (chimney connection). 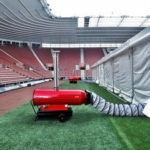 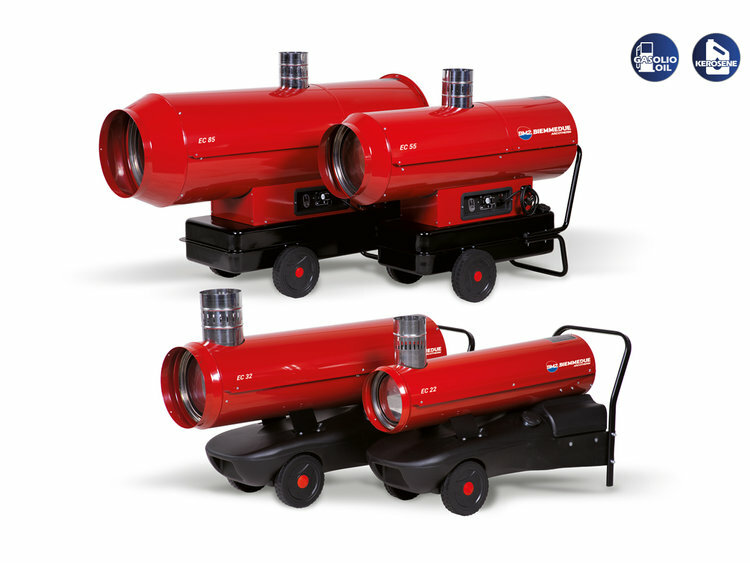 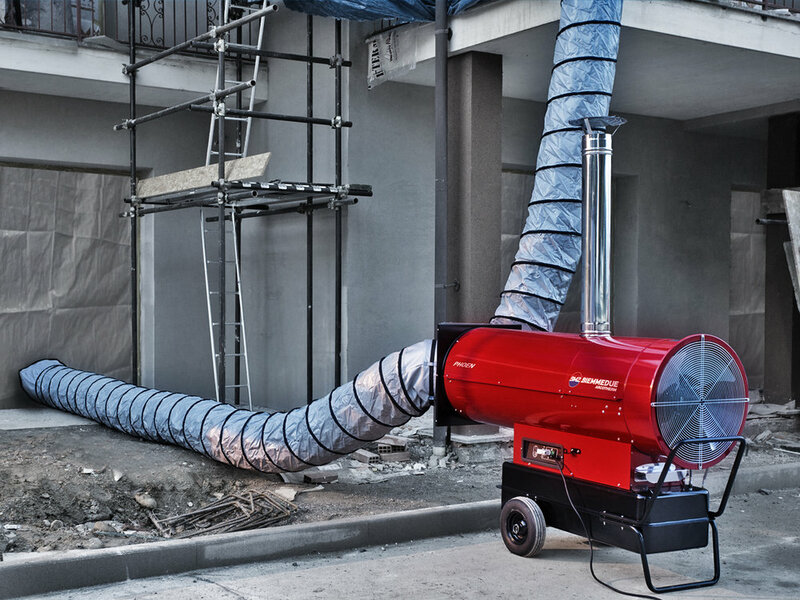 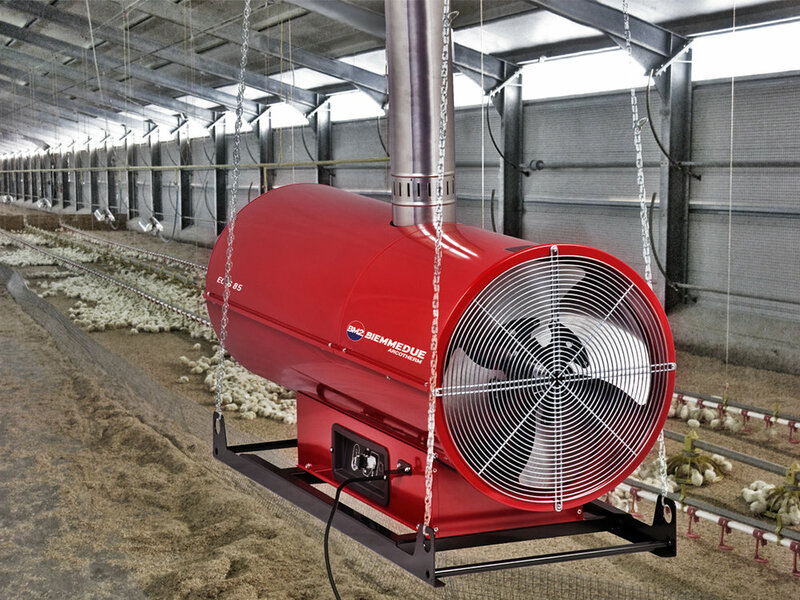 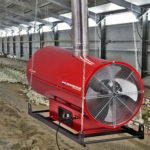 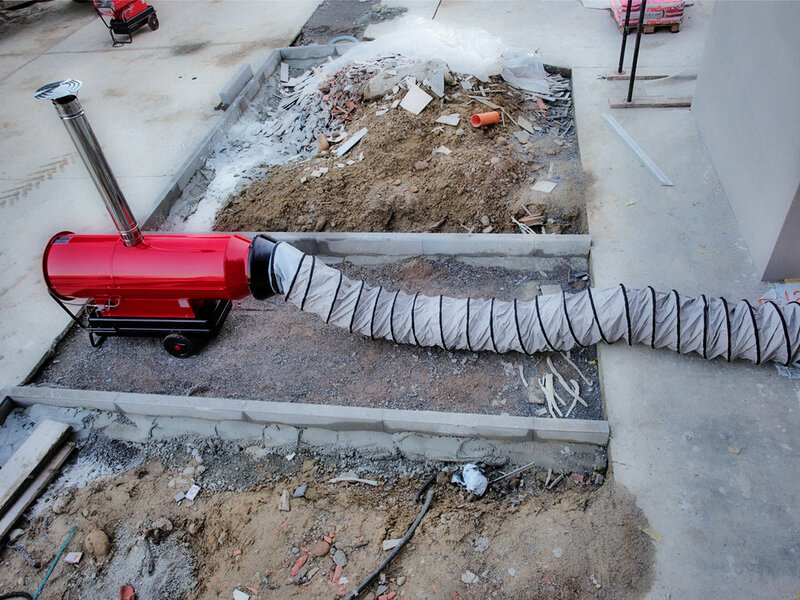 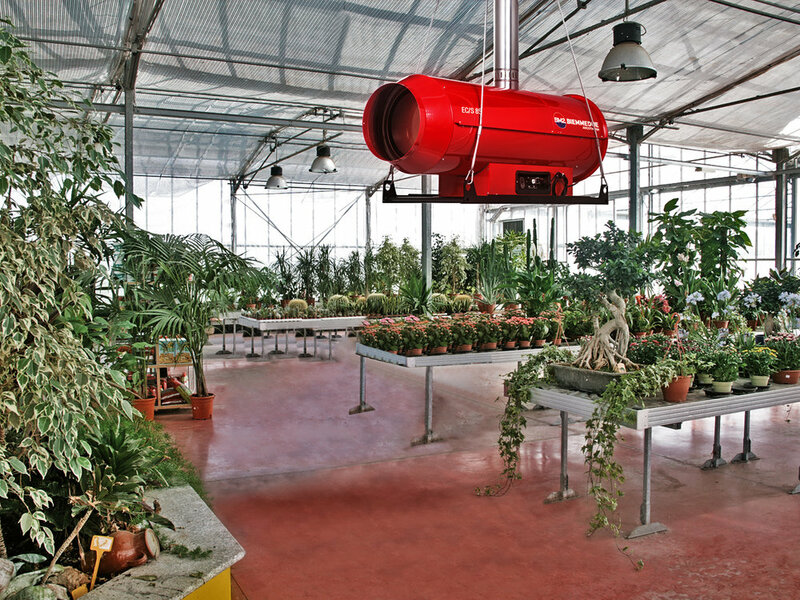 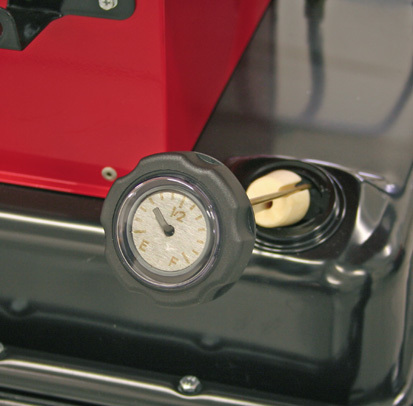 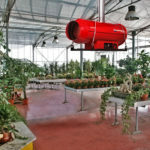 Indirect heaters separate the by-products and fumes of the combustion and guarantee 100% pure air – with heavy fan for regular and efficient heat distribution. 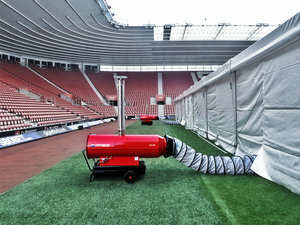 Also available in a ‘ suspended’ version.